Includes 2 brand new episodes! 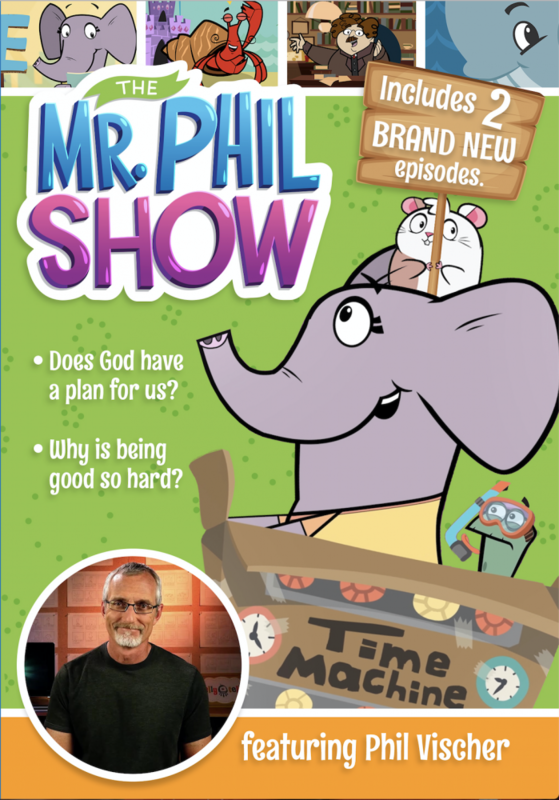 Join Phil and his friends Emily Elephant, Sam the Turtle, Carlo the Signing Hermit Crab, and The Bible Nuts as they learn some powerful and exciting lessons! 1. Does God have a plan for us? Does God have a plan for us when we're all grown-up? What does he want us to do? What does he want us to be? Emily Elephant and Sam the Turtle take a trip through time to answer the question, "How do I know what God wants me to do?" On their journey they meet Florence Nightingale, the famous nurse who asked God every day to tell her what she should do - and had God answer her in a surprising way that changed the world! Also learn about the book of Numbers and take another step with Mr. Phil through the letter we call 1st John! 2. Why is being good so hard? Our parents want us to be good. Our teachers want us to be good. God wants us to be good, too. So why is being good so hard? Why is being bad so easy? Emily Elephant and Sam the Turtle search to answer the question, "How can I be good, when it's so easy to be bad?" On their journey they meet St. Augustine, one of the smartest men in Western history, who wrestled a lot with "being bad" until he discovered God could make him good from the inside out! Also learn about the book of Leviticus and take another step with Mr. Phil through the letter we call 1st John!